Tennessee 4-H recognizes and rewards individual excellence whether it is in project work, leadership, citizenship or community service. The links below contain information which will be helpful to 4-H members, parents, and volunteer leaders working with project achievement portfolios. Tennessee 4-H Recognition Handbook - a resource for Extension agents, volunteer leaders, and 4-H members regarding awards and recognition opportunities. 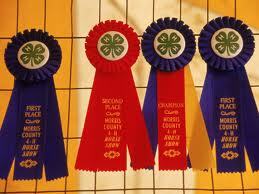 Includes rules and regulations governing eligibility of 4-H'ers participating in state recognition programs. There are numerous projects to choose from in 4H. Our 4H group has led many individuals to earn great awards, and taught life-long skills with these project portfolios.